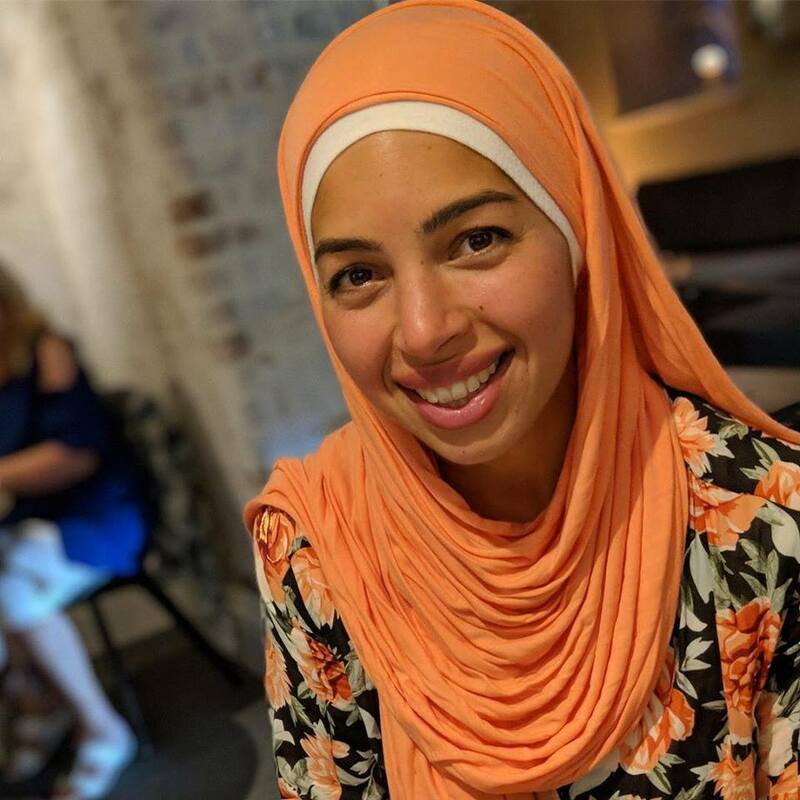 We are really excited to announce our latest supper club for spring 2019; an Egyptian evening with our newest Community Chef; Norah El Gohary. Norah is introducing us to some of her favourite Egyptian foods and we are excited to be hosting the evening at a new venue in Bristol; the Cook Pad head offices in central Bristol. Thursday 28th February 2019. 7pm. We talked to Norah about her favourite family recipes and why she has chosen her menu for evening at 91 Ways. How long have you been living in Bristol? I was born in Bristol; my father came here to study medicine and worked for a few years after he graduated, he then got offered a job in Abu Dhabi within the first year of my birth so our family moved there. I ended up living most of my life in Abu Dhabi and then chose to go to Egypt for my undergraduate studies. For my postgraduate studies I came back to my birth place, Bristol. Bristol is a happy city! Everyone is always smiling and saying hello. No one cares how I look or what I wear. There is a level of respect and acceptance I haven’t experienced anywhere else. Almost everyone I meet is kind and friendly. I love this city! What are your earliest childhood memories of food? who were you cooking with and what type of food was it? Food is a major part of any Arab family! Your day is planned around food. When people get together, there has to be food involved it cannot be just drinks! Arabs LOVE bringing people together through food! I was never allowed in the kitchen as a child cause my mum always told me this dish is too difficult or I wouldn’t be able to help out. And I wasn’t that interested in the kitchen back then. I only started to actually want to be in the kitchen and cook/bake when I moved to Egypt and was staying at a student housing run by nuns! The food was okay, but their pudding wasn’t! So that’s when I started experimenting with different cakes and bakes, in the tiny kitchen we had on our floor. I used to try a new recipe every week and take it to the university basketball court to share with my friends between games (I was a member of the university basketball team – not a very good one ! When I moved to Bristol for my postgraduate studies and was staying at the university dormitory we had a much larger sharing kitchen. There wasn’t any food provided to us like the dorms I was at in Egypt so I was forced to make my own! I would email my mum back in Abu Dhabi and ask her for recipes and then try them out. I practiced A LOT because I wanted to get better and give my friends a taste of our home cooking. I hosted an Egyptian all-day breakfast at our kitchen one day and invited everyone I knew I asked them to pop in whenever it suited them. Everyone was blown away! I was super happy with all the amazing feedback! Since that day, I regularly make a “feast” and invite my friends over J I started off with my Egyptian home recipes and then branched out into other cuisines. Bristol has such a mix of people from all over the world! I had a taste of all different kinds of food and fell in love with lots of dishes! I decided to make them myself; so far, I’ve had a taste of Cypriot, Pakistani, Indian, Bangladesh, South African, Japanese, Chinese, Palestinian, Lebanese, Omani, and many more! What’s your favourite family dish and why? It’s the Egyptian comfort food. I don’t know anyone who doesn’t like koshari (and that includes non-Egyptians too). It’s the simplest dish (and bizarre combo of rice and pasta) but it just works! It hits the right spot and takes me back to Egypt. Why is sharing your food at the 91 Ways Supper club important to you? What are the dishes you’ve chosen for the supper club and why have you you chosen them. There has to be salad because with any Arab cuisine, the meal is not complete without a bowl of salad. A lot of people refer to the salad as the “dessert” they have at the end of their meal! The main meal will of course be the Koshari and grilled kofta fingers, simple because this one another of my childhood favourites; it’s also very Egyptian and might possibly be as common as Koshari in an Egyptian household. For pudding I am making a cake like dessert called basboosa. This dessert is found all over the middle east but each country has their own take on it. It is basically a mix of semolina flour with yogurt and coconut, soaked in honey syrup. It is really popular and loved by everyone! The second pudding is something called mehallabeyya, which is creamy pudding infused with arabic gum, mistika, and sprinkled with pistachios. It has the same comfort feeling you get when you eat rice pudding; these dishes are truly Egyptian and super yummy, I am sure they will not disappoint! I started Nouna’s Kitchen in September 2018 after lots of encouragement from my friends! Granola is my favourite thing in the world! I’m obsessed! I tried all the different brands out there in the market, but none of them really satisfied what I was after. I was also shocked at the amount of sugar most of these granola brands had in them! I decided to make my own granola that was healthy and had no added sugar! It took months of trials and I finally got the perfect recipe for the perfect granola ; Baked in coconut oil, has added flax seed, no added sugar, and sweetened with Canadian maple syrup. I started gifting my granola to friends for different occasions and again the feedback was incredible! When I started Nouna’s Kitchen it was going to be just Nouna’s Granola because I wanted to share my amazing discovery with everyone! But then a lot of people asked if I could make them cakes/cupcakes so I decided to expand into Nouna’s Kitchen and cater to everyone’s needs. I’m focusing on bakes and cake initially, but I am hoping to expand into catering.